The first time I had this was at my bridal shower my aunts hosted. Oh. My. Goodness. 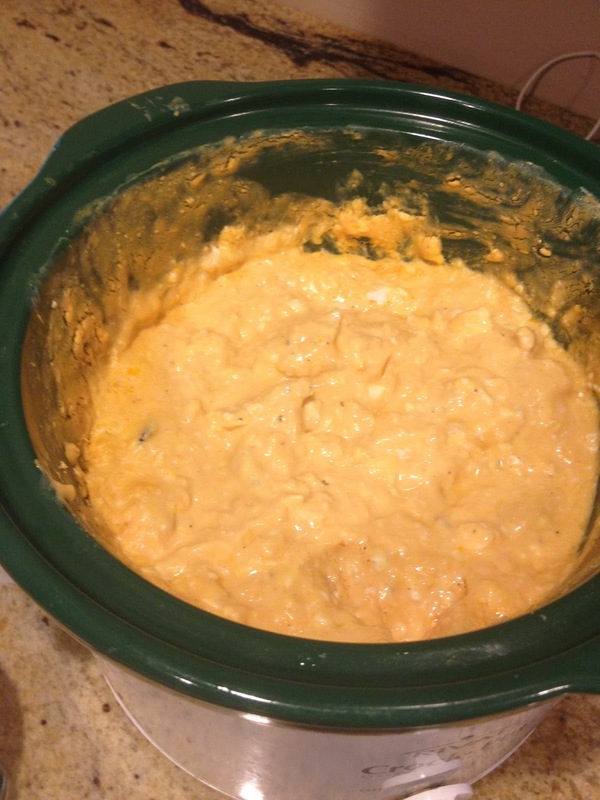 It's amazing what a few things melted together in a crockpot can turn in to. Crockpots truly are magic aren't they? We brought it to Thanksgiving as an appetizer later that year and now it's a staple. 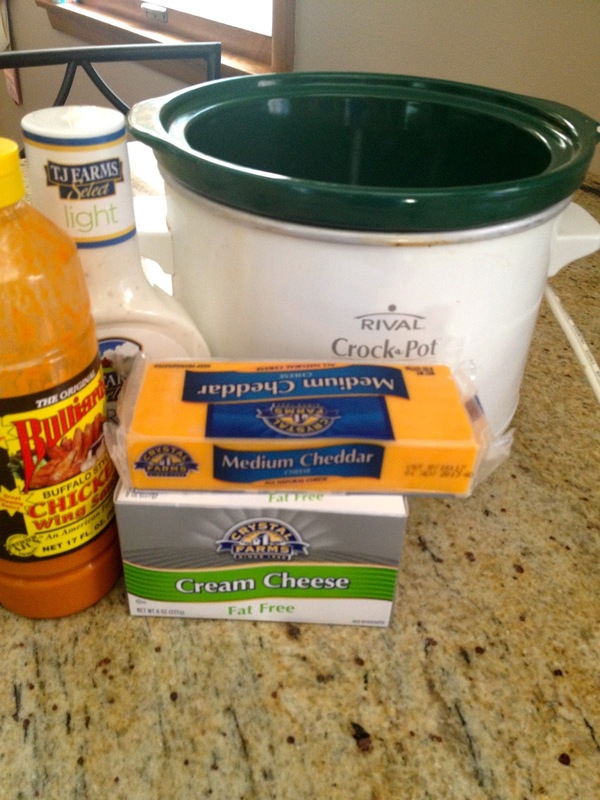 We have to make a quadruple batch (no I'm not kidding and there are rarely leftovers). Something that I like about it (that eases my guilty conscience) is that you can make it with fat free or low fat ingredients. I'm posting the doubled recipe (We don't ever make anything less. Why would you want to?). If you actually did want to make a smaller amount, it is easily halved. You need 2 8oz packages of cream cheese, 1c. ranch dressing, 1 3/4c. 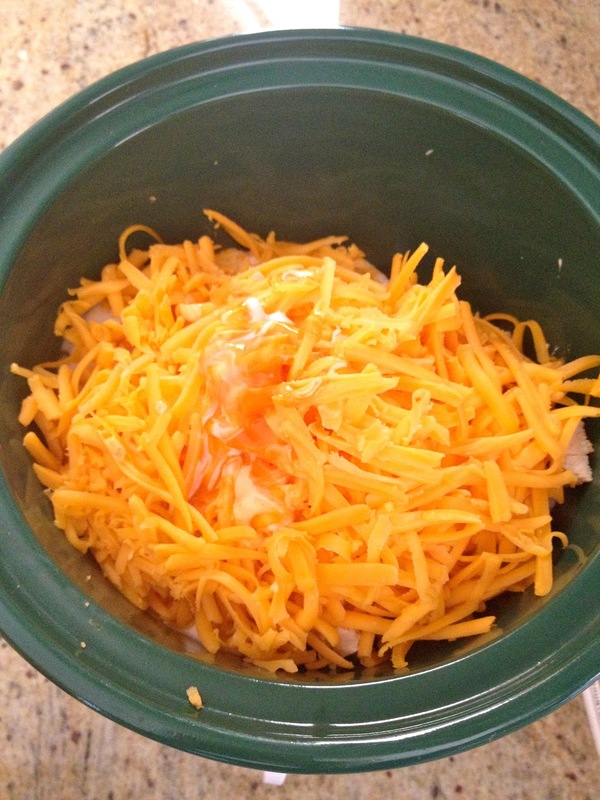 shredded cheddar cheese, 1/3c. hot sauce, and 2 10z. cans of chicken, drained. You can put more or less (if you're a wimp) hot sauce in to your taste. We also use cubed cooked chicken breast instead of canned chicken. Canned chicken weirds me out a little, I'm not sure why since I have no problem with canned tuna or salmon...but I digress. Also, if you choose to use fat free cream cheese, it doesn't melt well so it will be a little lumpy. It tastes fine, but the texture isn't as smooth. Just throw it all in a crockpot on low until it melts, stirring occasionally. 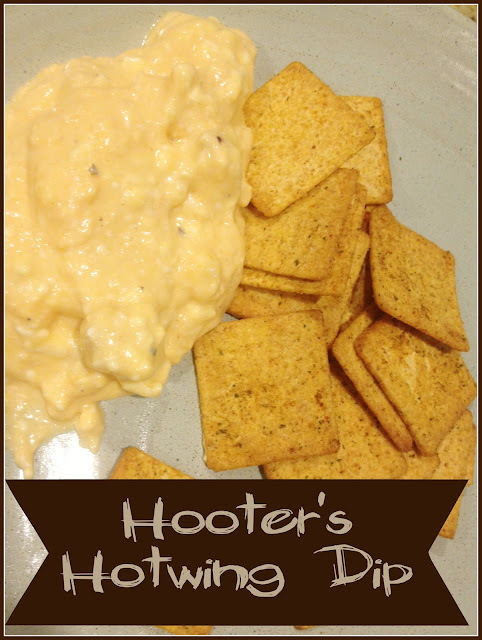 You can serve it with Wheat Thins, Triscuts, or tortilla chips. However you serve it, make sure you get a plate for yourself because it goes fast! 1. Combine and cook in crockpot on low till melted. Stir until blended. Serve warm. I agree! I have a whole cookbook dedicated to crockpot recipes.